A valid question and one that all lawyers wish they had a better answer to than “it depends.” Sure, if we are familiar with the facts of the case, the judge involved, and the varied and assorted nuances that brought the question (whatever that question might be) before the court, we can make some fairly shrewd estimates as to which of the many outcomes is more likely than the others – but that’s about it. Now, some outcomes are easier to predict than others. Can’t decide who gets the cabin by the lake or the collection of garden gnomes – don’t expect the judge to divine who deserves it more, it’s far more likely that there will be a sale in your future and an order to divide the proceeds. Can’t work out child support – well the law provides for default values; drop a few numbers into a calculator and voila, here’s your bill. But there are some outcomes that are tough to predict. Generally these outcomes are associated with the really important questions, questions like: “what parenting plan is in my child’s best interest?” or “will my family be financially secure with this asset division?”. While the law does prescribe methods to determine these and other similar tough issues, these are not processes that lend themselves well to prognostication. Yet these outcomes, the simple and the complex, will always have a few commonalities- they satisfy the law (that living compromise solution worked out by 201 legislators sitting is St. Paul), they have the perception of impartiality and fairness, and they may not be the best possible result for any one individual’s problem. While most of family law sees the law as the be-all and end-all, the Collaborative Divorce looks to the law, to that question “what will a judge decide?”, as setting the floor upon which individualized solutions are built. 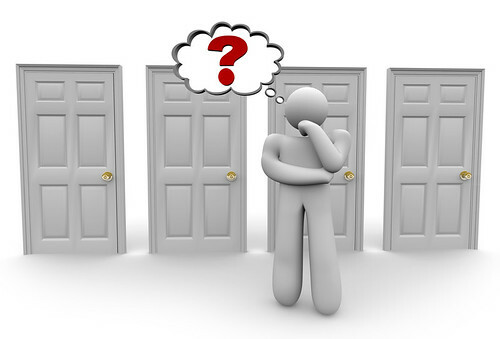 Admittedly, it takes more effort to create a customized solution than it does to pull that mass-produced one off the shelf, but ask yourself this – when it comes to your future and your children’s future would you rather have a hand in it’s creation or take what’s behind door #1?